Botanical Name: Belamcanda chinensis, Iris domestica. 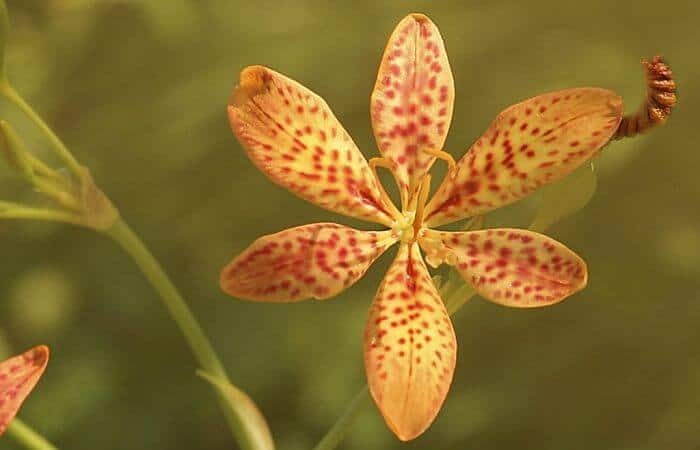 The plant was assigned the Latin name Belamcanda chinensis up until the year 2005 when it was assigned a different name Iris domestica due to new evidence regarding its molecular DNA sequence. Other Common Names: Leopard flower, leopard lily, she-gan (Chinese), yakan (Japanese), leopardblomst (Danish). 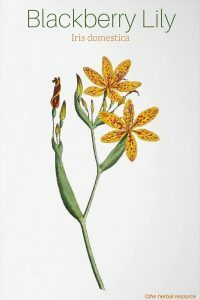 Habitat: Blackberry lily is believed to be originally native to northern China, but is now found in most parts of the country. Today, the plant is also found growing in Japan, Indonesia, northern India and as far north as the Ussuri region of East Siberia. As the plant is widely cultivated for ornamental purposes it has become naturalized in many countries, including some of the eastern and southern states of North America. In the wild, the plant is often found growing in habitats such as hillside, grasslands, fields, and open areas. Description: Blackberry lily is a perennial plant and a member of the Iris family (Iridaceae). It usually grows to a height of 50 to 120 cm (20 to 47 inches). It has a short yellow rhizome with numerous small fibrous roots. The stems are erect with a range of gray-green, sword-like leaves that grow up to 50 cm long. The flowers are reddish-orange with red dots. The plant is bloom from July to September, followed by round, shiny black seeds. Plant Parts Used: It is the root (rhizome) of the plant that is used in herbal medicine. The roots are dug up either in early spring before new sprouts appear or in the autumn when the stems and leaves have withered. The roots are then washed and dried in the sun. The root is either sliced into small pieces or ground to powder and used in decoction, extract, pills (capsules) and poultice. The blackberry lily root contains belamcandin, iridin, irigenin, tectorigenin, tectoridin, iristectoriginin A, irisflorentin, sheganone, tectoridin and tectorigenin. The seeds contain belamcandol andphenyl-10-pentadecene, and the aerial part of the plant contains mangiferin. In traditional Chinese medicine (TCM), the root of blackberry lily (she-gan) is viewed as bitter and cold in nature and it is mostly used medicinally as a treatment for ailments related to the lungs and liver. In China, the herb is also used to lower high fever, expelling phlegm, relieving sore throat, and lessen inflammation. The herb is quite important in Chinese herbal medicine, and it has been included in the official Chinese Pharmacopoeia since 1985. In western terminology, blackberry lily is regarded to have analgesic, antibacterial, antifungal, anti-inflammatory, depurative, expectorant, febrifuge, purgative, and stomachic properties. The herb has been used as a remedy for numerous ailments such as a sore throat, cataracts, asthma, hoarseness, chronic bronchitis, inflamed tonsils, scrofula, tuberculosis and swollen liver and spleen. In addition, the herb is believed to have a laxative effect. The plant has recently gained some interest as a possible supportive treatment for breast cancer but additional studies are needed to fully confirm its uses in that regard. 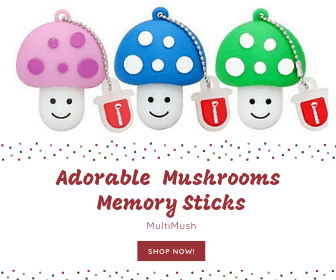 The herb has been proven to be effective against a variety of bacteria, viruses, and fungi, and traditionally it has also been used as an antidote for snake bites. Externally, the herb has been used in the form of a poultice for minor injuries and skin irritation. It is still used traditionally as a treatment for rashes that can occur after working long hours in the rice fields (rice field dermatitis). As a decoction: The usual dosage is 2.5 – 9 g daily of the powdered root. For external use, a poultice is made by adding water to the powdered root. For any commercial products containing blackberry lily, the manufacturer’s instructions should be followed. Most plants in the iris family are considered to be slightly toxic, and therefore the root should preferably be used under the guidance of licensed herbalists or other qualified healthcare providers. Blackberry lily is contraindicated during pregnancy.